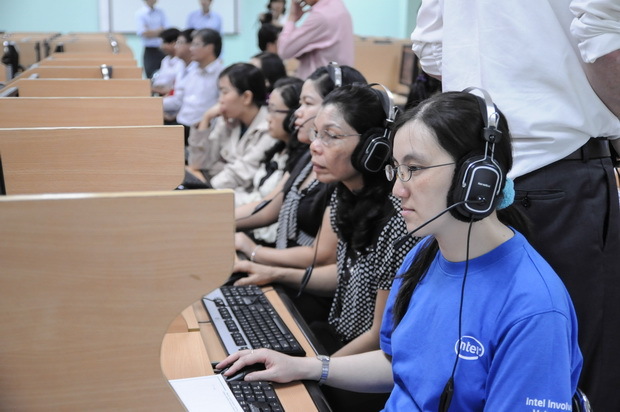 SEAMEO RETRAC in collaboration with the US Consulate General in Ho Chi Minh City and Imagine Learning Company organized an information session on “Imagine Learning – English Software for Vietnam” on July 27, 2013 at the Center’s premises. Imagine Learning is currently being utilized in 47 states in the United States and some countries in the world. The information session was facilitated by Mr. Quoc Tran, Project Coordinator and Mr. Benjamin Eyre, Area Partnership Manager. 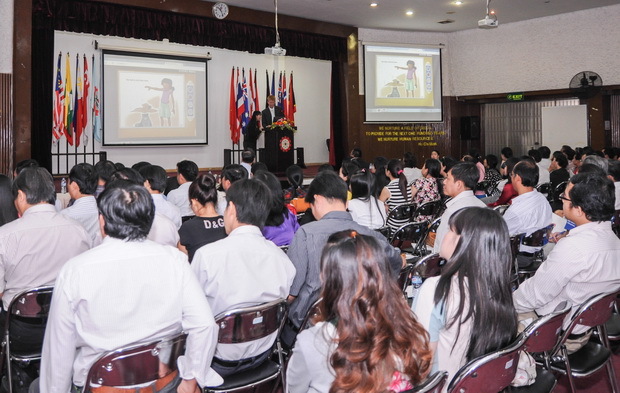 The whole-day information session drew the attendance of 105 participants who are English specialists from 9 Provincial Departments of Education and Training, head teachers of English in secondary and high schools and teachers of English in international schools and Centers for Foreign Studies.